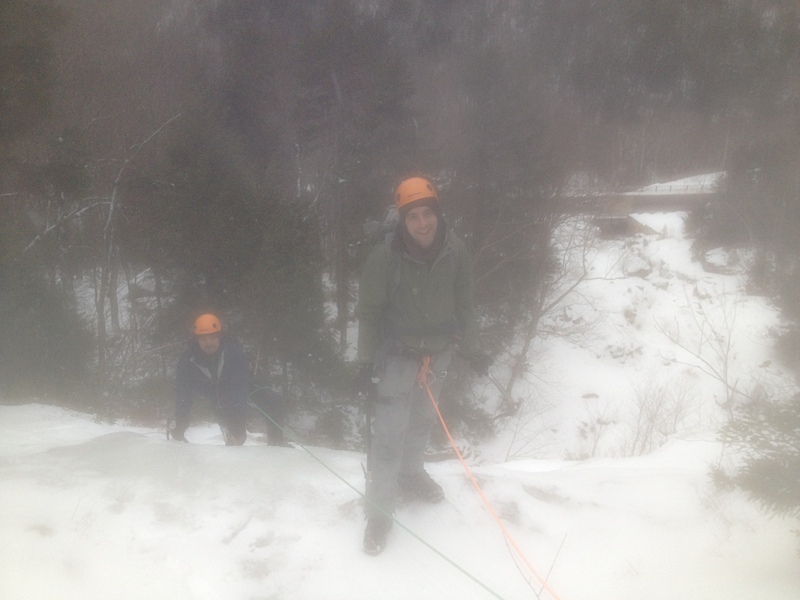 Yesterday I got to take 4 guys ice climbing as the 2nd day of our 3 Day Accelerated Mountaineering Program. 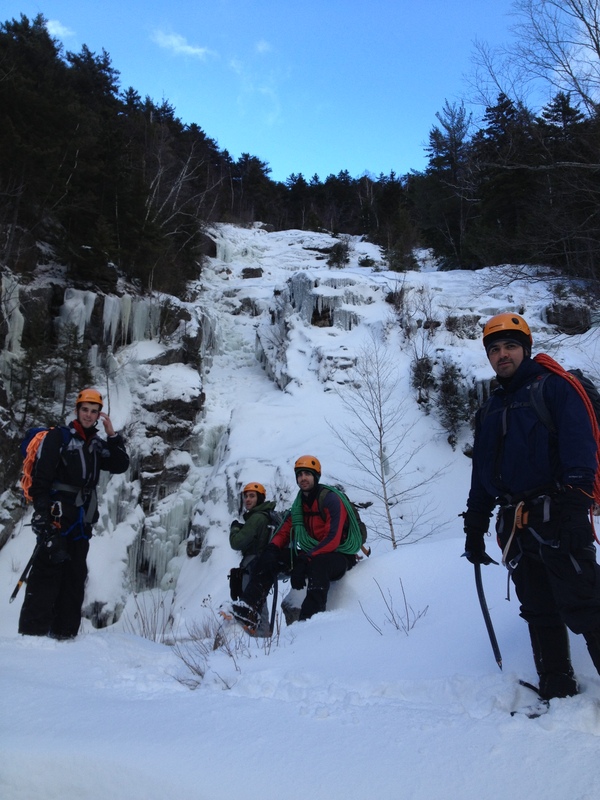 They had already spent day one learning the basics of crampon and ice axe use so today we added in some multi-pitch climbing skills and ascended the beautiful Silver Cascade in Crawford Notch. It was quite cool climbing beside open waterfalls on solid ice and hearing the water running near us during much of the day. 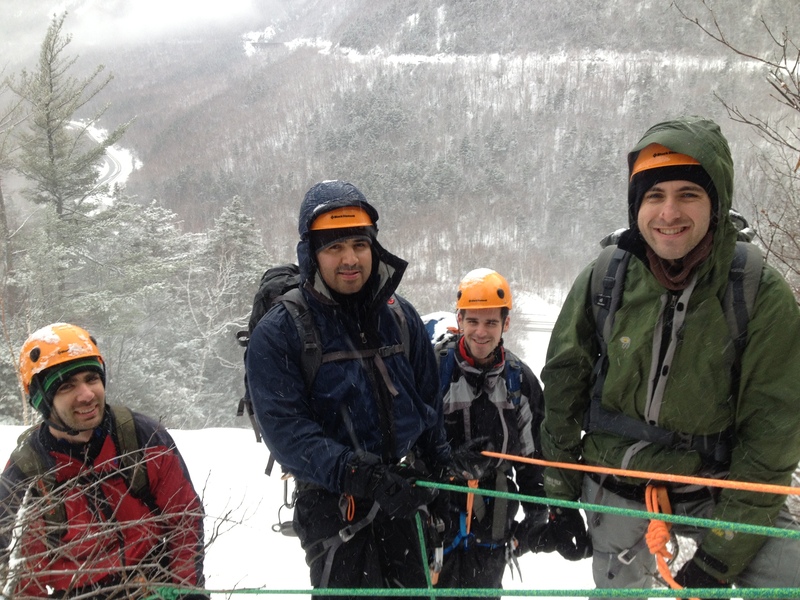 Despite a very busy weekend we had the climb to ourselves and enjoyed over 1,100 feet of climbing.